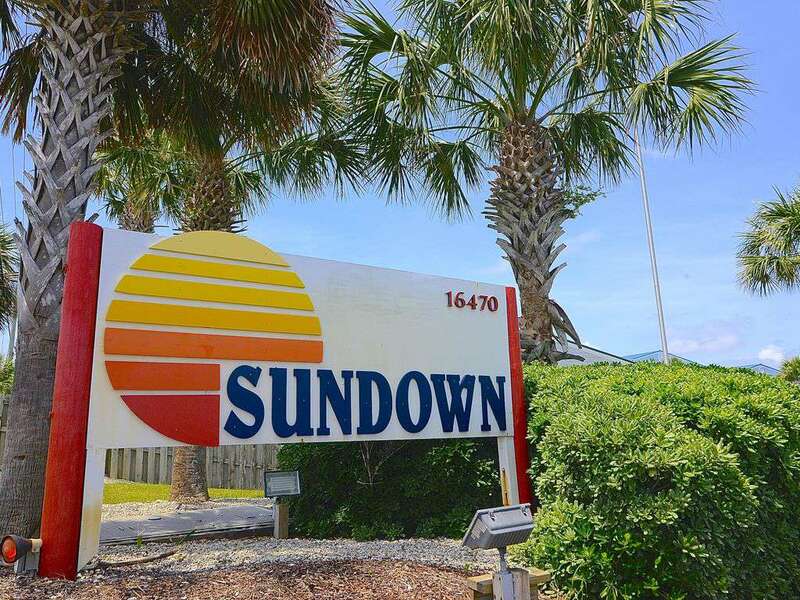 Sundown at Perdido Key is known for laid back beach life. When you think of getting away from it all and relaxing on the white sandy beaches that is exactly what you get here at Sundown. Come enjoy our recently renovated 2 bedroom/2 bath condo. 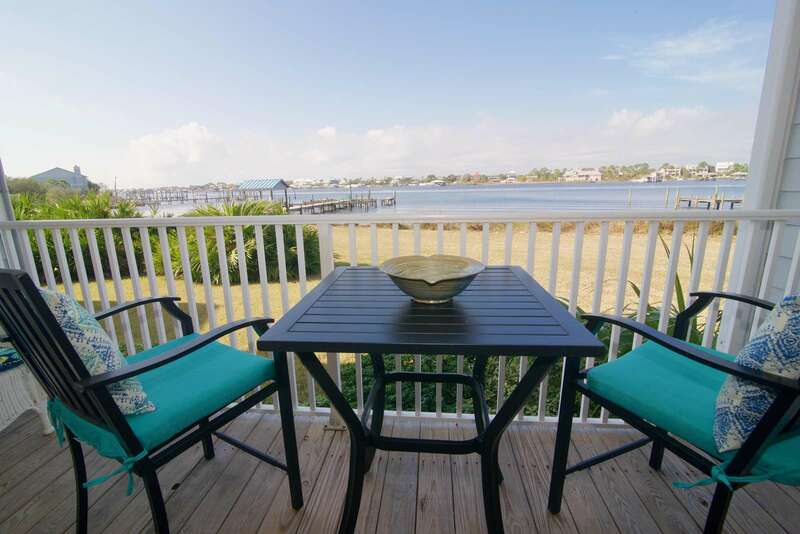 Watch amazing sunsets and dolphins and wildlife playing from your private balcony. Make yourselves at home and enjoy it as much as our family does. Our décor provides a true beach feel and experience. 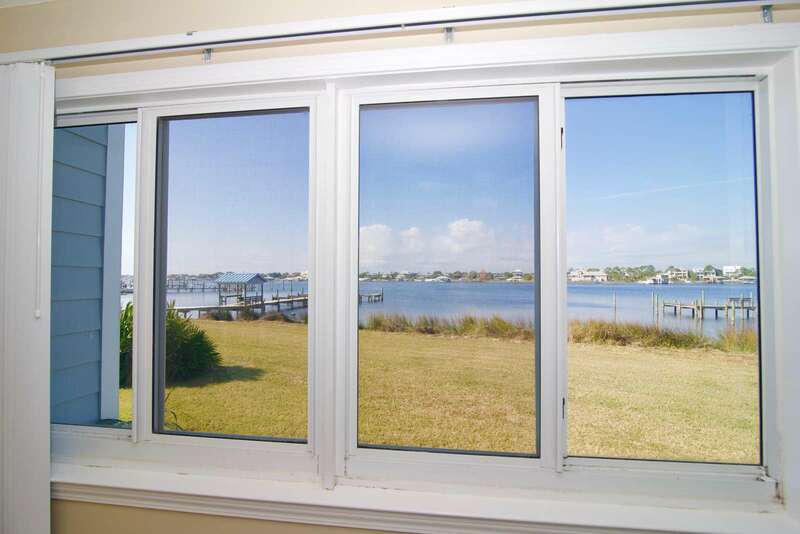 With the open floor plan, you will enjoy views of Old River from the living room, dining area, and kitchen. The master bedroom features a new king size bed, large closet, and on-suite bath with a stand alone shower. The second bedroom has a new king size bed with a full bath adjacent which has a tub/shower combo. The living room sofa opens into a queen size sleeper. Full size washer and dryer are available in the condo. The living room and bedrooms have TV’s with cable. A DVD player is available in living room. We have provided a fully outfitted kitchen for cooking and entertaining. There is access to free secured WIFI. Our deck has a bar height pub table with chairs and wicker chairs and table for relaxing. We offer boat docks and slips and a gated storage yard for trailers all Free to guests. Mooring balls are also available for jet skis and kayaks. The complex amenities include on-site management and check in, Olympic size pool, outdoor BBQ grills and picnic areas, tennis courts, and basketball court. There are restaurants and entertainment convenient to the Sundown complex. 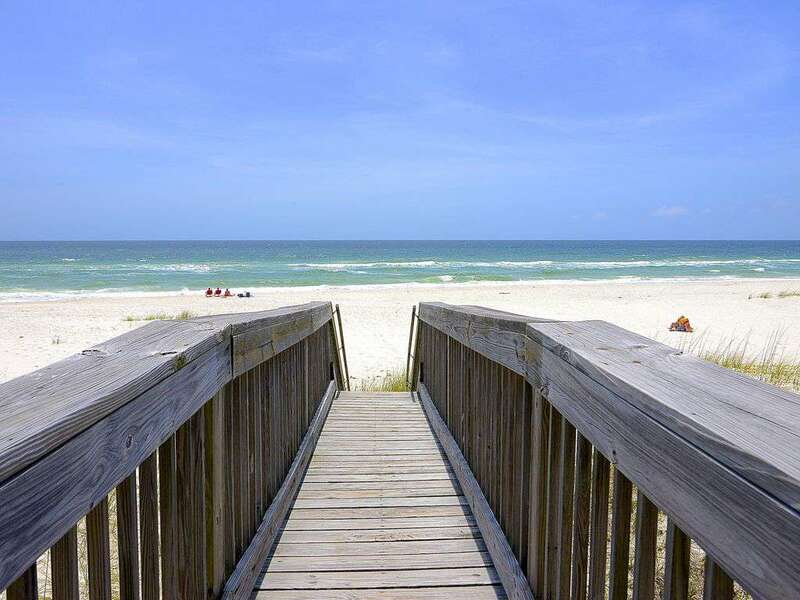 There is a private board walk right across the street that allows quick and easy access to the white sands of the Gulf of Mexico. Come be our guests and leave with a lifetime of memories. B14 is waiting for you and your family. We had a Girl's getaway recently and stayed in B14. WOW! Felt like we were in a 5 star resort. The condo was decorated exquisitely. Each room was beautifully done with the beach theme. Sitting out on the deck in the morning and afternoon watching the Dolphins and Pelicans put on a show was so relaxing. Will definitely do another getaway soon. Thanks!